It’s not uncommon for macOS user identities to go unmanaged in the modern enterprise. It should come as no surprise in a world of identity services traditionally dominated by Active Directory® that Windows users and systems are preferred. After all, it doesn’t make sense from Microsoft’s standpoint to empower the competition to take advantage of their service with ease. Microsoft understands this very well, which is why managing identity security for your Mac systems with Active Directory is notoriously difficult. This has been Microsoft’s approach to IT infrastructure for decades now. They would much prefer that you are firmly locked into the Windows ecosystem. As a result, Apple systems are often treated as second class citizens in the business world and left to fend for themselves. However, recent trends have indicated a massive explosion of macOS for enterprise solutions. 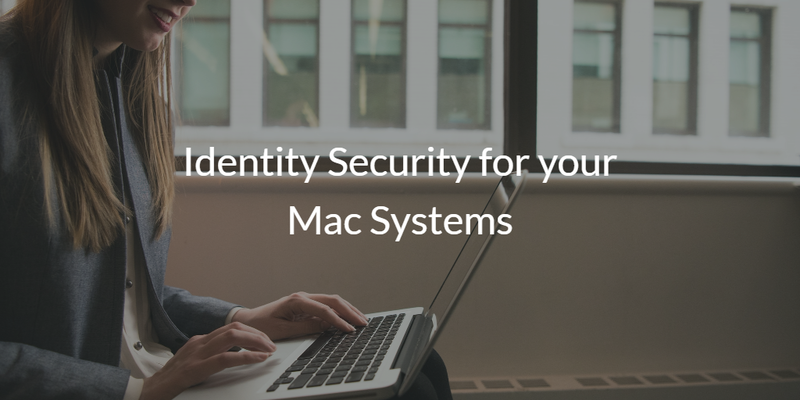 So where does that leave identity security for Mac systems? The unfortunate reality is that identities on Apple systems are often less secure because there isn’t a strong identity and access management system backing them up. It’s a sad truth whenever you don’t have centralized identity management and macOS is no exception. 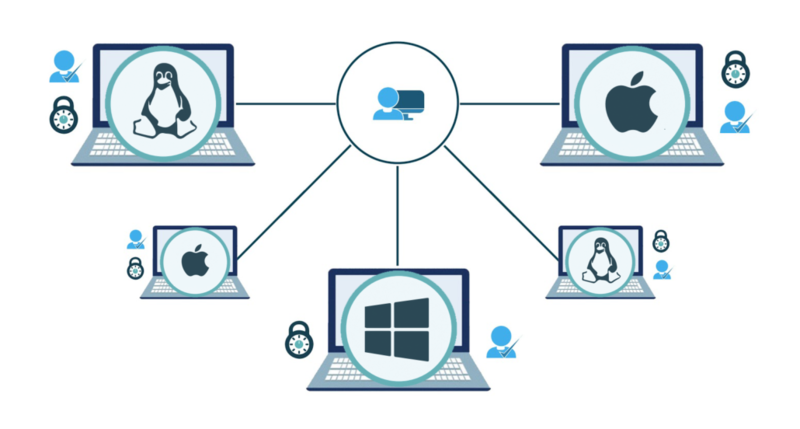 While it is theoretically possible to manage Macs with Active Directory, there are significant barriers one must surpass. The most significant comes down to the simple fact that they are running different operating systems. It’s like trying to have a conversation with someone from a distant land where English is a second language – for the most part we can understand each other but some things tend to get lost in translation. Now imagine that neither party is all that interested in communicating in the first place. The same is true for Windows and macOS. As a result, it has become common practice for many organizations to let their Apple user identities go unmanaged in a world still dominated by AD. Either that or attempt to manage Mac users on an individual basis. Neither option is ideal but they both offer a path of least resistance compared to the AD alternative. Besides, macOS architecture is impervious to attack, right? Unfortunately, this is another common misconception about macOS. 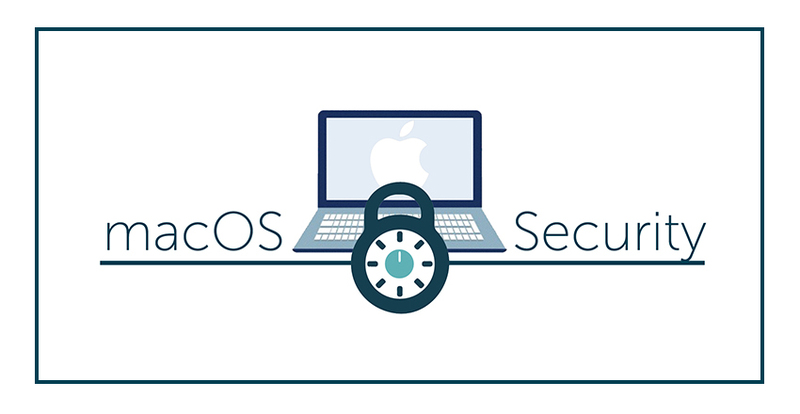 The fact of the matter is that macOS user identities are just as vulnerable to attacks as any other operating system – perhaps even more so because of this common misconception. Decentralized user management only adds fuel to the fire. So what can be done to put the fire out? The traditional approach is to accept the headache and attempt to manage user identities with Active Directory. If you’re up for a good challenge then more power to you. Alternatively, you can relax with Directory-as-a-Service®. 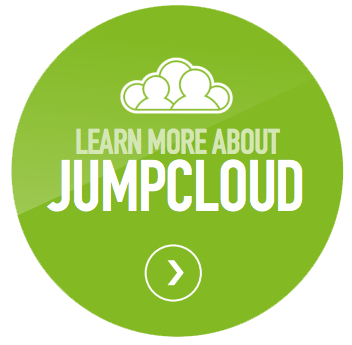 Directory-as-a-Service from JumpCloud offers centralized identity management for all of your system types (e.g. 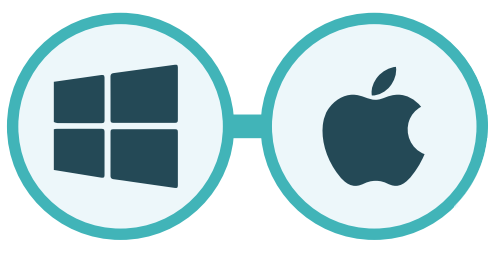 Windows, Mac, and Linux). Managing Macs is no longer an issue with Directory-as-a-Service. Administrators can secure user identities by enforcing strong password compliance settings like minimum length, special characters, expiration, rotation, and a lockout after a certain number of failed attempts. Admins can also deploy commands remotely to individual or groups of systems in an instant like running security updates (think GPO like functionality except for Mac and Linux devices! ), connect to RADIUS networks, configure SSO applications using SAML 2.0, or leverage the JumpCloud APIs. Multi-factor authentication is another feature of Directory-as-a-Service and can be configured at a system level, application level, or both. Admins can also restrict who can run commands or limit what resources are available at any time. These are just a few examples of how Directory-as-a-Service can provide identity security for your Mac systems. Sign up today to learn more. Your first ten users are free forever. You can also contact a member of our team for any product related questions or schedule a guided demo to answer all of your questions.